Hanging Rock viewed from the Hanging Rock Winery Vineyard. Only one hour from Melbourne CBD Macedon Ranges Wine Region is the coolest wine region in mainland Australia. Our Macedon Ranges Wine Tour will show you the best it has to offer. 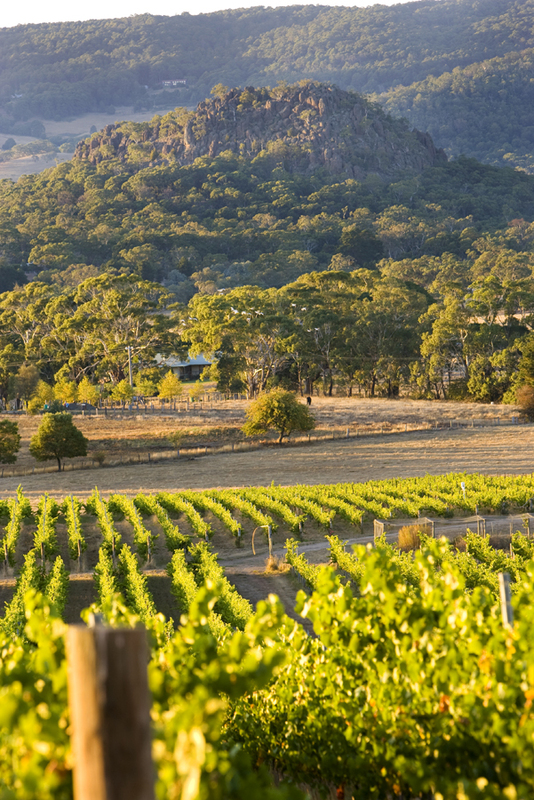 Comprised almost exclusively of small, family owned and operated wineries, Macedon Ranges offers a relaxed and intimate winery visit experience. Being cool climate directs the selection of grape varieties produced; chardonnay and pinot noir are predominate and are grown to produce high quality sparkling wines as well as table wines. You'll also find sauvignon blanc, riesling and in the warmer parts of the region, shiraz and cabernet sauvignon. vineyard and winery stories, their challenges and achievements.